Angeline (right) and Winona (left). 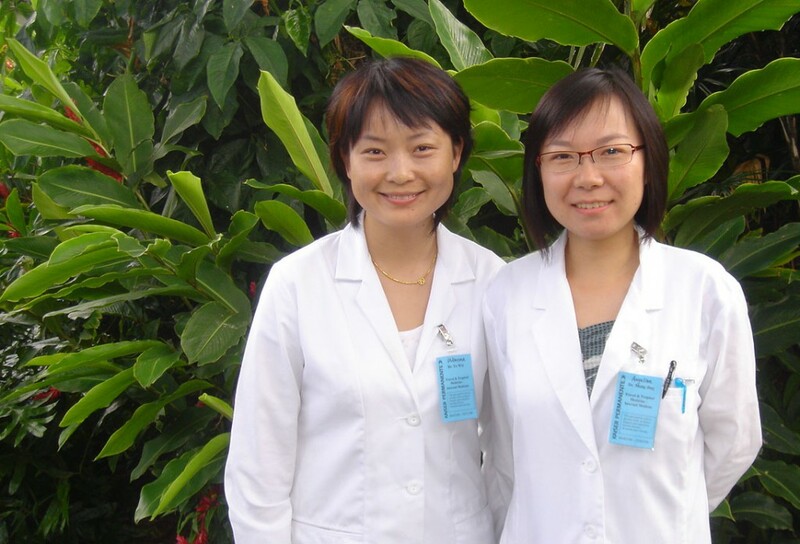 We recently met up with Dr. Ye Wei (Winona) and Dr. Meng Jing (Angeline) to talk about their two-month internship at Kaiser Permanente’s Koolau Clinic and Honolulu Clinic in Hawaii. The two medical practitioners from China were each awarded a scholarship through our International Travel Medicine Education Program. The fund, which is solely supported by the generous donations of IAMAT members, has given 13 scholarships since 2002. Chosen for their leadership skills, the two doctors will return home to teach their colleagues the skills they have learned in Hawaii, improving travel medicine practices in their workplace for the benefit of ill travellers. During the two-month intensive training program, Angeline and Winona are immersed in all aspects of pre-travel advice, travel medicine diagnosis, and post-travel consultation. When asked what interests them most about travel medicine, their enthusiasm is inspiring. At the heart of their work is cultivating the relationship between caregiver and patient, ensuring that travellers are well informed to prevent the spread of infectious diseases and ultimately having a safe and healthy trip. “No two consultations are exactly the same,” adds Angeline who likes the diversity of her work. The challenge is to provide individualized recommendations for each traveller and keeping up with the latest in the constantly evolving field. “It’s really important to keep up with up-to-date concepts and practices if you want to improve yourself in this field,” she notes. Winona says that for her, the internship is an opportunity to expand her qualifications and further promote travel health in China. “I have worked at my Clinic for almost eight years as a doctor and becoming a IAMAT scholar gives me the chance to go outside of China to increase my understanding of travel medicine.” She tells us that through her background in immunology, she’s interested in vaccine recommendation principles, specifically how they apply to different age groups and a patient’s past and current health status. Travel medicine is a relatively new discipline in China and is coming to prominence in large part to the economic reforms that have drastically increased the country’s incoming and outbound international travel. Since 1995, IAMAT has been instrumental in advising the country’s travel medicine and health network, the Chinese International Travel Healthcare Association (CITHA), develop and improve travel medicine practices among their clinics. Says Angeline, “One of the first things I will do after I return is to share my experience with my colleagues and make as many people aware about the importance of travel medicine. The majority of Chinese people have not heard about travel medicine, so going for a pre-travel consultation to protect themselves is obviously not on their list.” Her clinic will also start offering post-travel evaluations to Chinese nationals returning home after long-term working assignments in countries like Zimbabwe or the Democratic Republic of Congo where they are at high risk of contracting infectious diseases such as malaria or yellow fever. A key component of IAMAT’s scholarship program is to promote cross-cultural exchanges of medical knowledge and practices. It offers a chance for our scholars and their Hawaiian colleagues to exchange ideas and developments in the field practiced in their respective countries. The two interns have a busy schedule. Training takes them to the Koolau Clinic three times a week and to the Honolulu Clinic twice a week. Their day starts at 8:00am and usually ends at 5:00pm, in addition to studying in the evenings. Their supervisors, Dr. Vernon Ansdell and Dr. Johnnie Yates provide them with information about the patient’s travel destination and health status the day before the client comes to the clinic, that way they have time to prepare their cases. They also participate in the actual patient visit and provide advice based on their prior research and discussions with their colleagues. They are also given hypothetical cases to study and present the best approaches based on the patient’s needs. “Through self-directed learning, discussion and problem-solving I can understand and master the key points of a specific case,” says Angeline.